So, Ajax being the thing and all, I was hunting for a way to add an item to the cart using an Ajax call in Magento. Recently, I noticed there was a module that apparently does this, but either I hadn’t seen that or it didn’t exist yet when I wrote this, so I hacked my way through it. PHP isn’t my primary language – I come from the ASP, ASP.Net, C# world, but Magento was compelling enough that I’ve taken the leap. I’m sure there are lots of things I could be doing better/differently here so if you’ve got some suggestions, I’m all ears! So first I needed an “Add to Cart” page (called – addToCart.php) that could be called from the client. This page returns a result in JSON format. The actual page also returns related items so we can try to cross sell the user, but I’ve removed that in this sample to make it simpler. Then I need a “Buy Now” button that doesn’t do a post to the server that I can attach my jQuery code to. I’ve added the sku as an attribute to the anchor because I have this in a page that has more than one product on the page and I need to know which product has been selected. Finally, I need the client script that gets attached to the button and calls the server “addToCart.php” page. 2. Each product has a color selector that has the product_id as the value in the drop down. There’s also an additional attribute called “stockstatus” that will let me know if the color is out of stock. My customer didn’t want to hide the out of stock colors, but I obviously can’t let anyone order them. 3. I put a little animated gif (the “ajax loader”) on the page and that gets displayed when the ajax call is being made. 4. If there is an error, I display it using the jQuery UI library and a little showdialog helper function. 5. There’s a feedback panel that shows related items, but I’ve removed that in this code just to make it easier to follow. So there it is. Hope this helps someone. And if there are better ways to do this, I’d love to hear them! This is part 2 of my series on the jQuery UI Dialog. Part 1 – The Default Dialog covered the most basic usage of the dialog widget. In this second part I will demonstrate a simple modal dialog. A modal dialog is a dialog that takes focus, and disables the rest of the application until it is closed. They are used to force the user to acknowledge something, or to gather some input. It is worth pointing out that modal dialogs can be annoying for users so you should consider carefully if it is absolutely necessary. User Account Control (UAC) in Windows Vista and Windows 7 is an example of an annoying usage of modal dialogs. overlay Creates a partially transparent modal overlay layer. Very web 2.0. Sticky Tooltip is jQuery plugin that allows you to add a rich HTML tooltip to elements on your webpage. Tooltip is revealed when the mouse rolls over them. The tooltip can be “stickied”, or kept visible on the screen by clicking right mouse button or pressing “s” on the keyboard. The contents for each tooltip are defined using regular HTML, making them very easy to customize. You can further customize it using option variables: x and y offset from mouse cursor for tooltips; duration of fade effect in milliseconds; enable or disable sticky tooltip; border color of tooltip; customize tooltip status messages. Developed by Dynamic Drive; jQuery Sticky Tooltip Script is available for download for Free. You can find further information, demo & download on Dynamic Drive Website. How to add a cool popup bubble to an RSS feed link using jQuery. Include jQuery Library in head section of your html file. 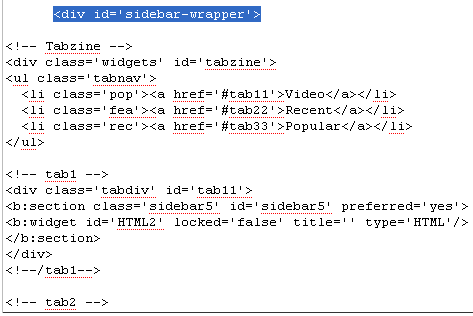 Come up with your own html elements in body section. I chose div ‘layer1′ to be the main container where collapsible/expandable content would reside. CSS: Now it totally depends on you to write css for your heading, div. Here’s my version of CSS for this example. Thats it!! Expandible-Collapsible panel is ready. You may like to view a DEMO. This tutorial has come out of necessity for a homepage featured product slider, I had tried quite a few different tutorials but never achieved what I was looking for. Magento is a great open-source ecommerce package, but Im a little surprised that featured products isn’t a feature built-in. Hopefully this tutorial will help. Help support open source! Step 1: Create a Feature Products Category. Make sure the category is directly under your root category, or this will not work. (see screenshot). Take note of the category ID, you will need this later. Step 3: Add necessary files to /js directory which is located at the root. If it doesnt already exist, create a /jquery directory within the /js directory. So your path will look like this: root/js/jquery. Add the following files to the new directory. add jquery no conflict which prevents jQuery from screwing up prototype which is built into Magento. Make sure that it is added to the very end of the jQuery library file. Step 6: Add the featured products block to your homepage using the Magento CMS. The category ID can be obtained from the category ID of the featured products category that you setup in Step 1. Voila! You now should have a featured products slider powered by jQuery and Easy Slider on your homepage. Any products that you add to the featured products category, will show up in this slider. And each subsequent product that is added, will increase the numbered navigation along the bottom. The plugin acts on a simple unordered list containing links to YouTube videos, e.g. If this option is true, the list item containing the link will be replaced with the YouTube video. See the gallery demo for an example of this.